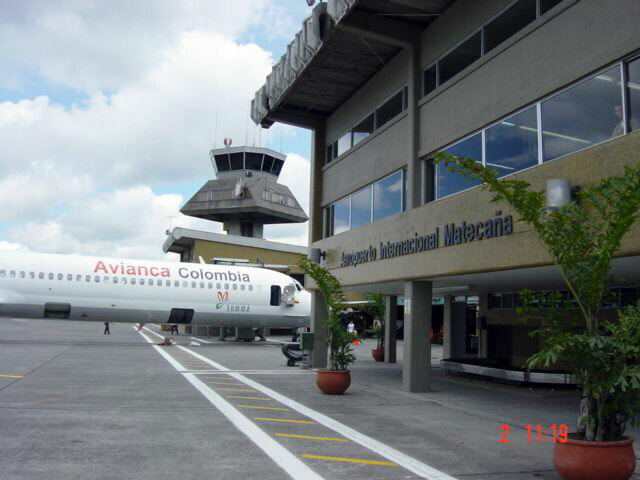 The airport is located west of the city of Pereira, in the department of Risaralda. It is 4.7 kilometers from the Pereira downtown. The airport is 52 kilometers far from Manizales (Caldas) and 44 kilometers from Armenia (Quindío). The airport tax is CoP$60,000 for international flights, and CoP$12,400 for domestic flights.